Leap Motion is a tech company with a mission to “remove the barriers between people and technology.” Leap Motion puts the power of VR right in your hands with its standalone controller. 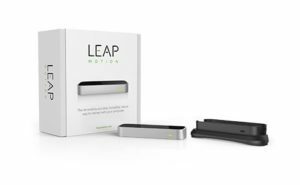 With Big Apple Buddy’s personal shopping service, you can now buy Leap Motion products from the USA Leap Motion online store anytime, anywhere. The sleek and affordable Leap Motion Controller gives you motion control with up to ten fingers at once. The controller can be used for gaming in VR or simply working on your laptop. The controller’s small size makes it easy to integrate it with many technologies and environments. The Universal VR Dev Mount is compatible with most consumer VR headsets, including the HTC Vive and Oculus Rift CV1. Its 15’ long USB 2.0 cable extender ensures that you have free motion around your space. Want both? Get a deal with the Universal VR Dev Bundle. The bundle ends up reducing the cost of the controller and VR dev mount by 10%. 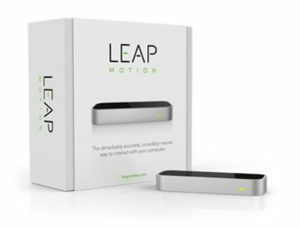 Leap Motion products ship out of the US and Canada, and unfortunately Leap Motion does not offer international shipping. Not to worry though! Big Apple Buddy, your personal shopper, can help you buy products from the USA Leap Motion online store and ship them to your doorstep, no matter where you are in the world. We offer international shipping to over 110 countries including Australia, Austria, Azerbaijan, Bahrain, Belgium, British Virgin Islands, Brunei, Bulgaria, Canada, Chile, Costa Rica, Croatia, Czech Republic, Denmark, Estonia, Fiji, Finland, France, French Polynesia, Germany, Gibraltar, Greece, Greenland, Hong Kong, Hungary, Iceland, Indonesia, Ireland, Israel, Italy, Japan, Jordan, Kuwait, Latvia, Liechtenstein, Lithuania, Luxembourg, Macau, Malaysia, Maldives, Malta, Marshall Islands, Mauritius, Monaco, the Netherlands, Netherland Antilles, New Zealand, Norway, Oman, Poland, Qatar, Romania, San Marino, Saudi Arabia, Serbia and Montenegro, Seychelles, Singapore, Slovak Republic, Slovenia, Spain, South Africa, St. Lucia, Sweden, Switzerland, Taiwan, Thailand, the UAE, the UK, Vatican City, and Vietnam. If you would like to buy from the USA Leap Motion online store, simply let us know which items you would like to order (by filling out the form below) and we’ll get back to you with a free international shipping quote within 24 hours!